Are all rhinoplasties the same? Of all of the cosmetic procedures in plastic surgery, a rhinoplasty is the one in which it is most critical to design a unique treatment plan that fits your nose. No two noses are alike, and the corrections that will be made are based on your individual needs. When I sit down with a patient to discuss a rhinoplasty, the most important part of the consult is a discussion of his or her goals and the design of a treatment plan that will accomplish those goals. Is there swelling and bruising after a rhinoplasty? If the surgical plan for your rhinoplasty includes reshaping the bones, which is often necessary, there will inevitably be some swelling and bruising around the nose and eyes. I have all of my patients use two homeopathic medications available in most health food stores, Arnica and Bromeline, which have been shown to decrease both the amount and duration of swelling and bruising. Refinements in surgical technique and my standard protocols of cold packs and head elevation all contribute to a decrease in swelling and bruising. In a typical case, the eyes do not swell shut and within seven to ten days the swelling is not noticeable to the general public. Any residual bruising can be covered with camouflage makeup. Do you have to break the bones in a rhinoplasty? The answer to this question depends on which part of the nose is going to be altered. If correction will be limited to the nasal tip, then it is not necessary to break the bones. If you want to correct a hump on the bridge of your nose or narrow the nose, it is necessary to break the bones to reshape the walls of the nose and maintain harmony and balance. Don't worry. Patients typically say that it sounded a lot worse than it actually was. If part of the treatment plan for your rhinoplasty includes reducing the height and width of your nose, then the volume inside your nose will decrease as well. If you have a deviated septum or allergies, this reduction in volume may decrease your nasal airflow although this side effect is uncommon. It is important to have any allergies under control and to have a surgeon who is able to diagnose and treat a deviated septum. If you do have reduced nasal breathing after a rhinoplasty, there are options available to treat this symptom. A small amount of bleeding during the first 24 hours is normal and will stop on its' own. If it were to continue longer than that, it would be specifically addressed. There'll be scarring, as there always is after the skin is incised. It will be small however, and not obviously noticeable. Some numbness of the nasal skin is normal and will generally improve over time. You will initially have some nasal stuffiness due to swelling and crusting inside the nose, but this will get better on its own. A permanent decrease in nasal airflow is very uncommon, but if it does occur it can generally be treated. If you also have surgery on the nasal septum, it is possible but not likely to have a perforation in the septum. Dr. Fata tells all of our patients that regarding the outcome of a rhinoplasty, it is important to remember that although improvements are seen soon after surgery, the nose will go through a process of subtle change, known as remodeling, for up to one year. As a result, it can take up to one year to fully see the final result. It is a situation in which your patience will generally be rewarded. Will there be any visible scars after a rhinoplasty? In the closed, or endonasal approach, all of the incisions are placed inside the nose and there are no visible scars. In the open, or external approach, an additional small incision is made along the thin column of skin between the nostrils, the columella. This incision typically heals very well and is not noticeable because it is hidden under the natural shadow of the nose. In most cases, I use the closed approach unless a patient has had a prior rhinoplasty or needs extensive reshaping of the nasal tip. 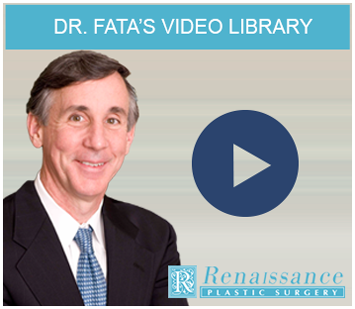 Dr. Joseph Fata performs rhinoplasty for residents of Indianapolis, IN, and have done so for many years. Each rhinoplasty is unique, planned for you alone. 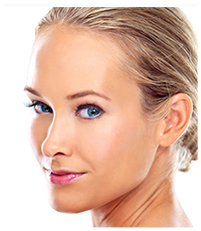 Please call 317-575-9152 or contact Renaissance Plastic Surgery online to schedule an initial consultation.